the move to the Cloud? 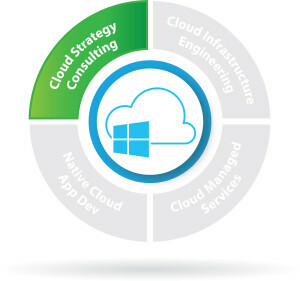 Not sure how to make the move to the Cloud? Any organization focused on success says they have a “cloud-first” strategy. But often they get stuck on where to start. Moving to the Cloud without a clearly defined plan is like taking a road trip without directions or a map. 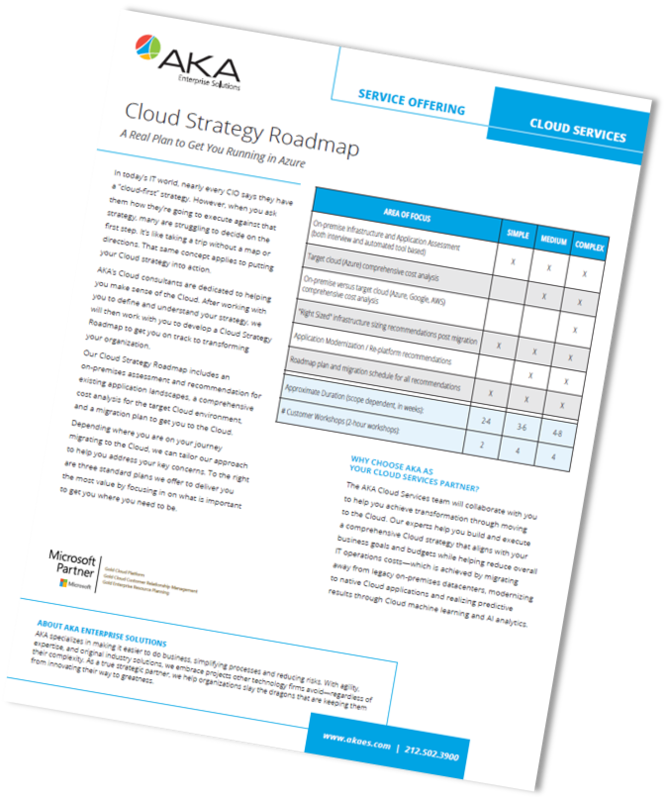 AKA’s Ground to Cloud Strategy Roadmap offering helps you put your strategy into action. It enables you to migrate to Azure in the way that aligns with your goals and works within your budget while helping reduce overall IT operations costs. No matter where you are on your Cloud journey—whether you simply want to “lift and shift” applications (like moving Dynamics 365 on premises to Azure), or you’re going for full-blown digital transformation—we can help. Our goal is to help you stop worrying about the business of IT, so you can focus on what you do best.